I thought I’d replay the replay since I talked to Paul Kita from Rodale’s and he mentions the Institute and I am always so excited because I have someone from the Rodale Institute. The plant production specialist. I got an email and asked if someone would come on and talk about the things that are available there. I can give you the nutshell version. I took the job here just over 2 years. 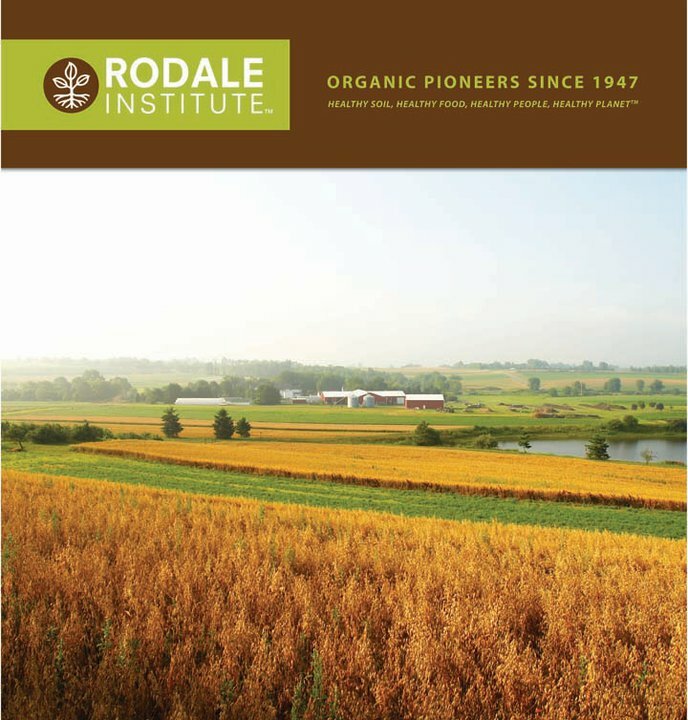 My official title now is Plant production Specialist at the Rodale Institute. I’ve had along career in horticulture and farming both for non-profits… …. 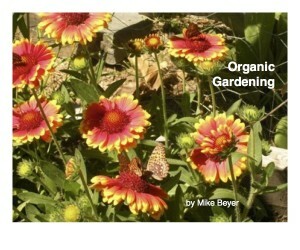 work now in gardens, greenhouse, high tunnels and fields. I work with a mix of plant materials- vegetables, medicinals, ornamentals. I have BS in horticulture and MS in plant science and over 20 years of horticultural experience. Grad School at a university and worked at other places in greenhouses and high tunnels. Commercial work. Rodale is a place and with they type of structure I never experienced before! Because of size and reputation for organics. Exciting to be here as Plant Production specialist. people and it’s a great thing! 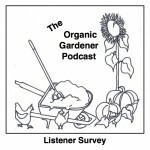 Tell me about your first gardening experience? How did you get excited about going to college and studying horticulture? For me, it was being outdoors. My dad was more the gardener and outdoor person. I’m the daughter of a public school teacher. Someone who taught Earth Science. So I think that had a lot to do with it we were exposed to outdoors. Weeding or something simple in my parents garden… and being around the house… Being outdoors and learning to love outdoors. My first formative experience was working as an 11 year old kid. I was picking blueberries at a local farm. Starting to have that experience of the food production experience. The love of the outdoors. I’m so curious to ask? Where did you grow up? I grew up in Northfeild, Connecticut which is sort of the north west corner of Connecticut. So it’s about a one 6. It’s a little bit colder then where I am now in Pennsylvania. But it had clear summers and clear winters. Definitely had a northern climate. Î grew up in NY, so I know that well, although now I am in Montana. I probably didn’t think about the word organics in that formal way until after college. Following that path to getting a degree in horticulture. A lot of that training was conventional. 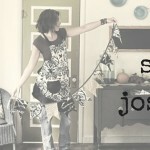 I think I really didn’t think that much about it until I started to work commercially. My first experience using organics. I had a formal university training. My first jobs were working for conventional growers. For this I’m grateful that it gave me a solid background in understanding growing needs. It wasn’t until I felt that what I was doing professionally was damaging to the environment. Then did I look for ways to substitute conventional practices with organic alternatives. What is quite different about the organic practices is a concern for the health of all biology associated. Growing- plants, soil, water, and farm ecosystem. it was dangerous and 2 it is damaging! And wonder about if different ways would be profitable without one of the way of growing that? Things like fertilization and seeing what whats out there in the industry. What other people were using successfully? Formal training more a process of exploration. learning about what you learn what you don’t want to do then what you do want to do… I was sitting in this philosophy class. Someone was talking about this USFS job where you could go out and take flower inventories of the forest. 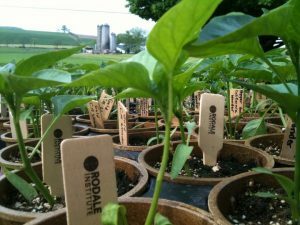 Do you want to talk about opportunities at the Rodale Intstitue now? There’s a lot of different research happening. this year they are even setting up a vegetables systems trial taking place in the feilds. Are there internships right now? or a job opening? April – Nov farmer training. Animal folks looking for people to come work with them. Interns who want to live on site. Volunteers who can come learn from us. maybe 15-20 minutes west of Allentown, Eastern Pennsylvania, Central as well. I remember when I worked at Apple, I call them the kids – but they were all college students or grad students, they were always talking about “We’re going to Philly to get a cheesesteak or something…” ROAD-TRIP! more oriented to getting our message out there.. Besides to all those things that we do. There’s a good educational program. People can take classes from the actual people who are running the programs. composting that is a big popular area we have had success with. I love that I am going to visit one of these days… I drove across the US with my step daughter once to look at all these different colleges. One of these days I’m gonna get there…… I always hear complaints about people who are too into their phones. Not communicating but getting to talk to people like you and then meet them it’s just amazing! Heather does a great job stocking it! I’ll be a lot of listeners are like I’m gonna go, I never thought of this… or I walsy wanted to now I’m gonna. This year in PA was a good year for winter squash. IDK if in Montana you fight Downy mildew at all? The downy mildew held off until late season. Allowing for good fruit development on the plants. Downy mildew can be a killer for organic growers, as our options are limited. Making good contact with the underside of the leaves when spraying is always difficult. Wasn’t it more like the Northeast it was really wet? That’s the wacky thing… of us is was a dryer summer… for listeners it could be different? Did you want to talk about if other years what to do if they did have downy mildew? Is that the powdery mildew? we haven’t done it successfully. definitely a trickery thing to get a handle on. Every year when we go through the seed catalogs I always get kind of waylaid with different new varieties. it’s a new pest coming up. Do you want to talk about climate change? We talk about climate change. The positive effects of ag and getting that carbon back down in the soil through cover cropping. It has to come down to us… us making the demands on the people we are getting our products from. And the folks that are making and changing policy. 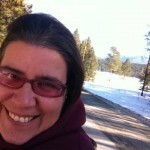 I got snagged in this Facebook autism awareness thing… I talked to Dr. Stefanie Seneff. The links between autism and the curves on the graphs. And links between the rise in autism and rise in glyphosate. I always tell people that if Congress even if they agree with you, that they need people to back them up,,.. it’s an easy phone call.. You just dial and call and they are alway polite either side you call. and it’s so important. I always tell listeners I love to start but then I’m like what you want me to water again… I just watered yesterday? dead headings been a struggle for em.. Lisa Ziegler gave me a big lecture one day on dead heading! there will be weeks where 3-4 days will go by and I won’t even see the garden… but I’m belessed and my husband gets to g there every day..
My very favorite tool, is probably one of those really sharp gardening knives. It looks like a giant knife like a large cooking knife a chefs knife. like a hori hori knife? losing your favorite tool and you find it at the end of season when it’s rusted… thank god you didn’t hit iwth a piece of equipement? There are so many! I love to make soups in the fall- butternut squash soup or potato leek. Greens are always great, too! I always talk about a kitchen garden… my mom has herbs so goo fresh herbs right outside her front door! How about a favorite internet resource to recommend? I wrote a character about a person who worked at a botanical garden? What are you looking for at a botanical garden website? search from varieties from seed companies themselves? Do you think botanical gardens grow organically? Margaret Roach I think she worked for Martha Stewart. 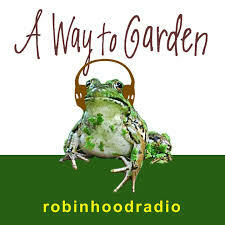 Do you have any advice for our listeners about how to sell extra produce or get started in the industry? know your competition and not be surprised by it. I was gonna ask about building your conections… at the market? with other growers? with your customers? all of the above? Final question- if there was one change you would like to see to create a greener world what would it be? For example is there a charity or organization your passionate about? Or a project you would like to see put into action. What do you feel is the most crucial issue facing our planet? In regards to the environment?Either in your local area or on a national or global scale? the connection between themseleves and the environment and our food – from that every other decions flows… once you see what you can do in your own garden. And when you grow organically. The quality that comes out of it you demand different from our super markets. Demand more from people seeting policy. Where your flour is coming from and more commidity crops.